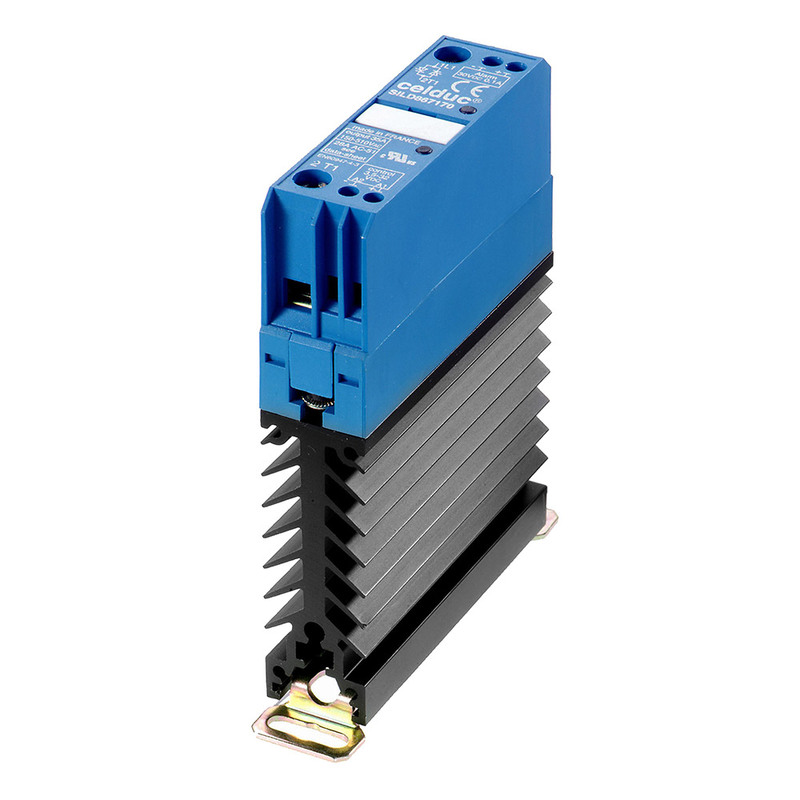 Our solid state relay range covers a vast number of PCB or DIN mounted devices up to high current three phase relays and motor control products with and without heatsinks and in a number of form factors. We also offer a bespoke service, building your choice of solid state device into a customised assembly. 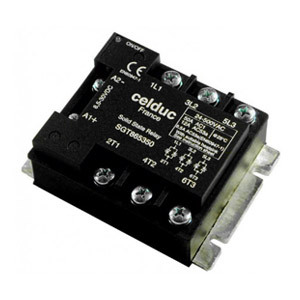 Using a good quality solid state relay can be crucial in ensuring the longevity and reliability of an electronics product and for some applications the special characteristics of solid state devices – such as silent operation, resistance to vibration, minimal power consumption and inherently spark-proof – are essential. 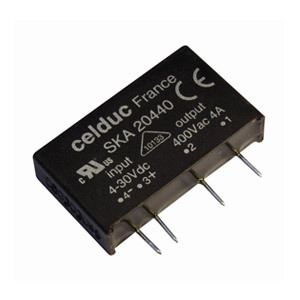 And, because solid state relays also serve a circuit isolation function, choosing a quality device can also have implications for the safety of a product. 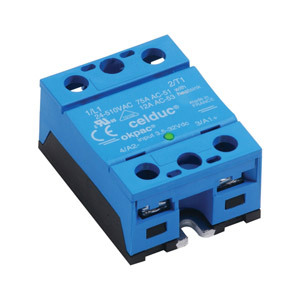 Solid state relays are therefore a key part of our product portfolio and as a result we work in partnership with Celduc Relais to offer a range of exceptionally well engineered high quality solid state devices. 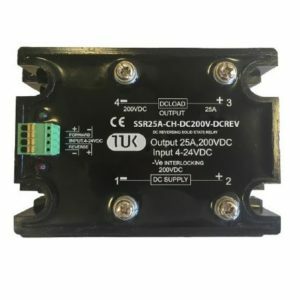 While the quality of a solid state relay will be uppermost for the majority of our commercial clients, we also know how important it is to find exactly the right type of solid state device for your application, minimising the need to adapt designs around the available components, which can incur time and labour costs. In addition to the standard zero cross units for switching resistive loads we also offer a number of solid state devices for switching inductive loads and specific phase angle controllers. Switching DC voltages is also catered for with a selection of PCB and panel mounted solid state relays using Mosfet, Bipolar or IGBT technology. 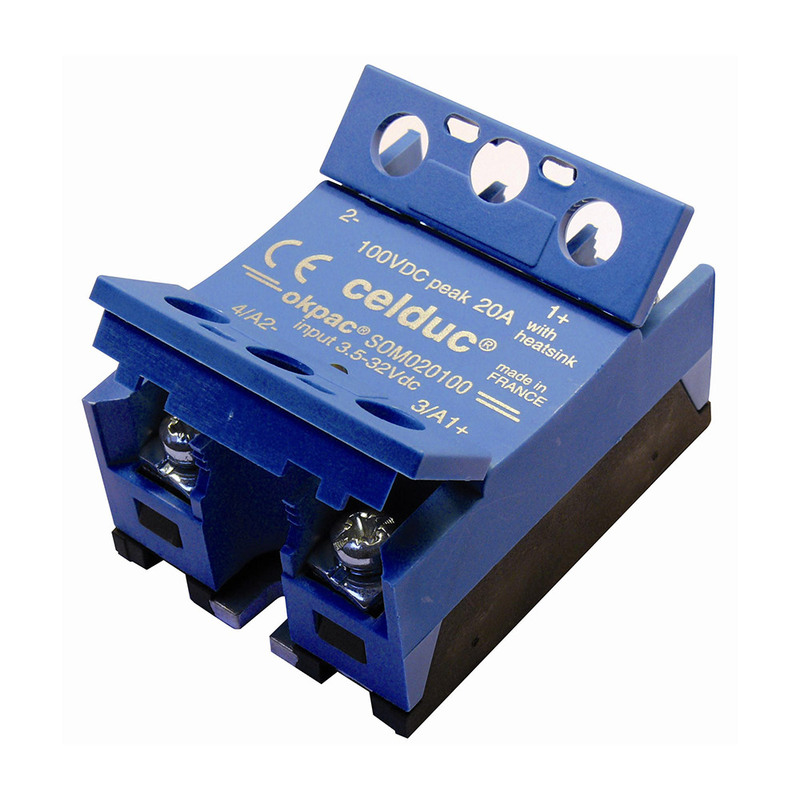 As with all the products we offer, vast stocks of solid state relays are held in the UK with many key products available next day. And, as always, our team of experts are on hand to help you make the correct choice for your application. An extensive range of relays for loads up to 125 amps in hockey puck, miniature size and DIN rail mountable formats, with a variety of options including heatsinks, VDR protection and status LEDs. Bespoke assemblies are also available. 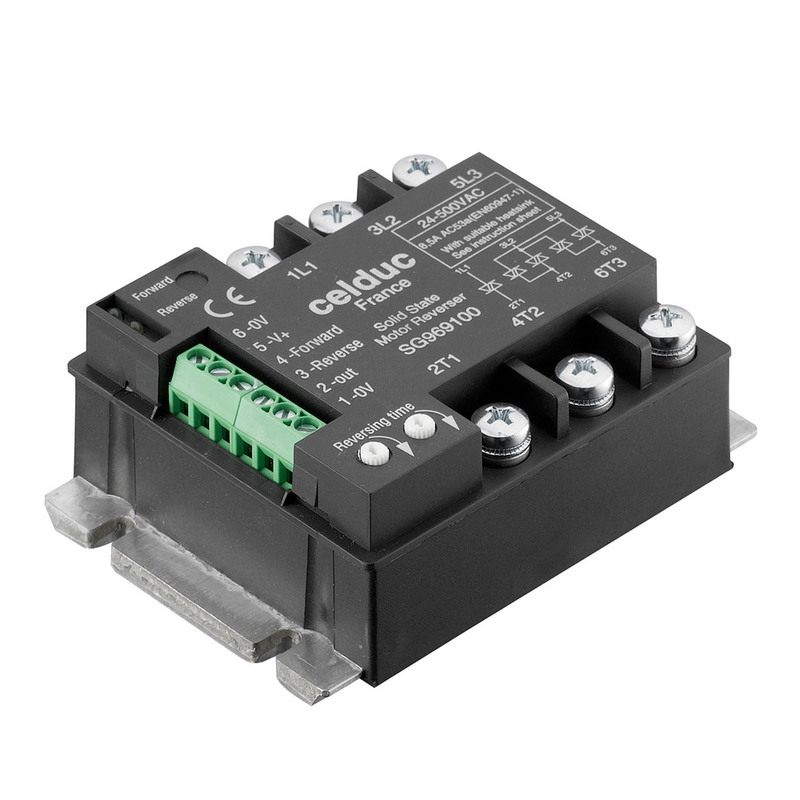 Designed for three phase AC power applications, our range caters for resistive and inductive loads and includes features such as built-in heatsinks, IP protection and DIN rail mounting. Custom built assemblies can also be created to order. Our DC solid state relay range includes three technologies: Mosfet, Bipolar and IGBT. They are designed to deal with a range of current and voltage requirements. Options include PCB mounting and integrated protection. A selection of motor reversing switch units for both DC and AC motors, two phase or three phase power, and for a range of voltage, current and power ratings. Choice of panel mounted or DIN rail mounted formats, with or without heatsinks. 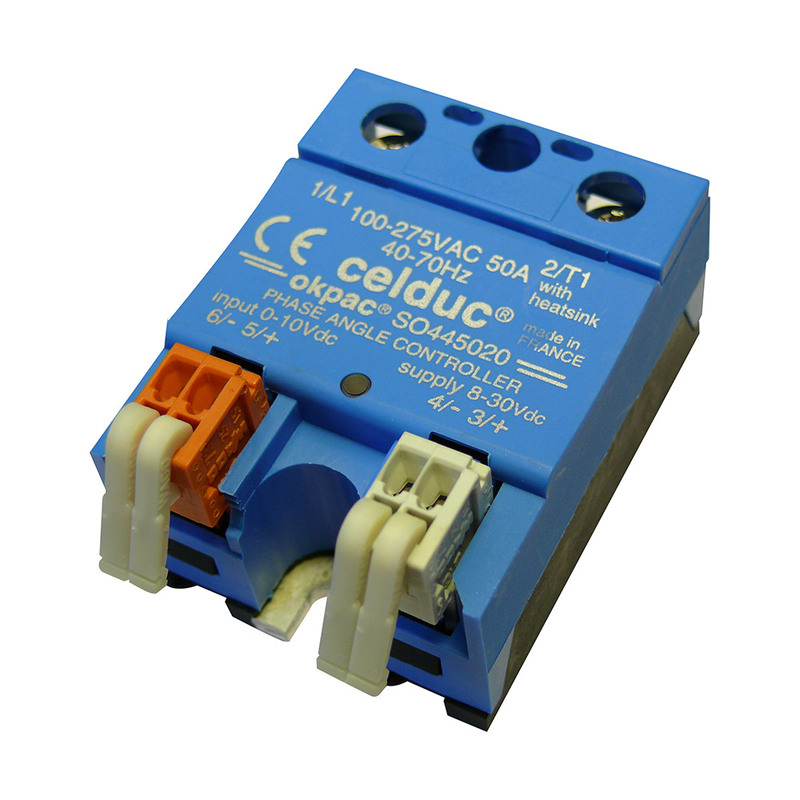 Our range of PCB relays caters for a variety of different requirements, including resistive or inductive loads, AC or DC current. Available with or without heatsinks, high or low current, with a choice of sizes and form factors. We offer a variety of phase angle and burst fire controllers enabling a greater degree of switching control in response to power levels or other variables. Includes hockey puck and DIN rail mounted formats. 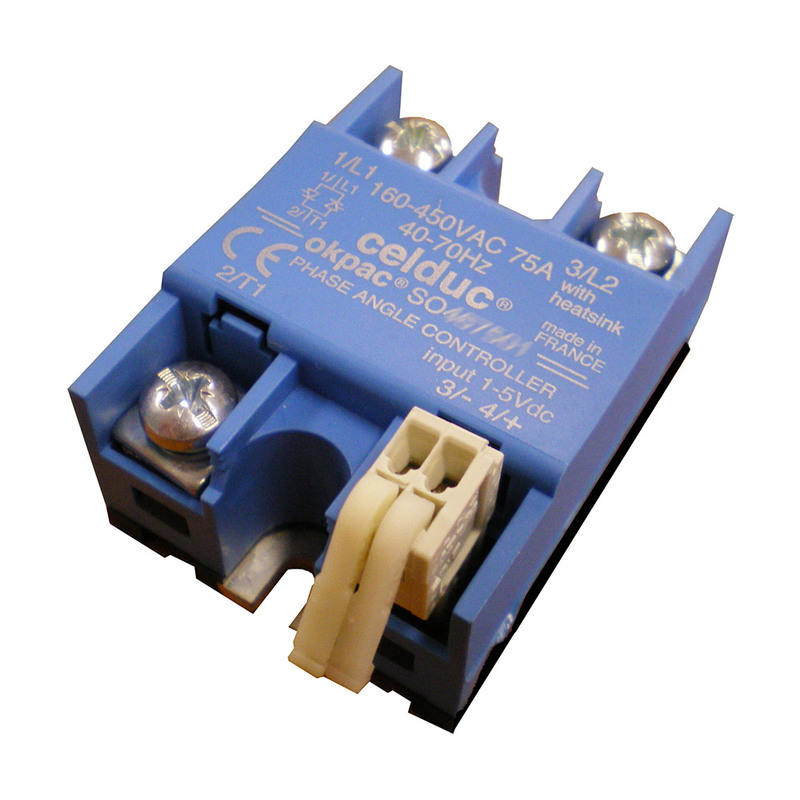 Our range of Peltier DC reversing solid state relays caters for a variety of different requirements. We stock single phase and three phase AC soft starters to cater for a variety of application types including electrical and high power mechanical systems. Available in hockey puck format, with or without built-in heatsinks. This range of diagnostic monitoring relays are designed to monitor various relay and load conditions and to signal a fault to a PLC or other controller. 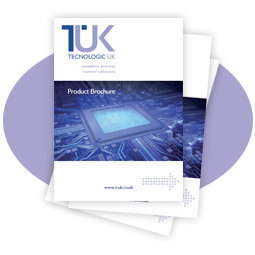 Available in a range of formats, with optional heatsinks.